Dr. Blum, a family physician and director of the Center for the Study of Tobacco and Society, is Professor and Gerald Leon Wallace, MD, Endowed Chair in Family Medicine at the University of Alabama and one of the nation’s foremost authorities on smoking and cigarette marketing. In 1977, Dr. Blum founded Doctors Ought to Care (DOC), the first physicians’ organization to focus primarily on countering the tobacco industry and the promoters of other harmful products. As editor of the Medical Journal of Australia and the New York State Journal of Medicine in the 1980s, he published the first theme issues on cigarette smoking of any journal. In 1988, he was awarded the Surgeon General’s Medallion by Dr. C. Everett Koop, and he received an honorary doctor of science in 2006 from Amherst College for a career dedicated to countering the tobacco industry. The Center was established at the University of Alabama in 1998 when its director, Alan Blum, MD, was appointed to the Gerald Leon Wallace, MD, Endowed Chair in Family Medicine at the College of Community Health Sciences. 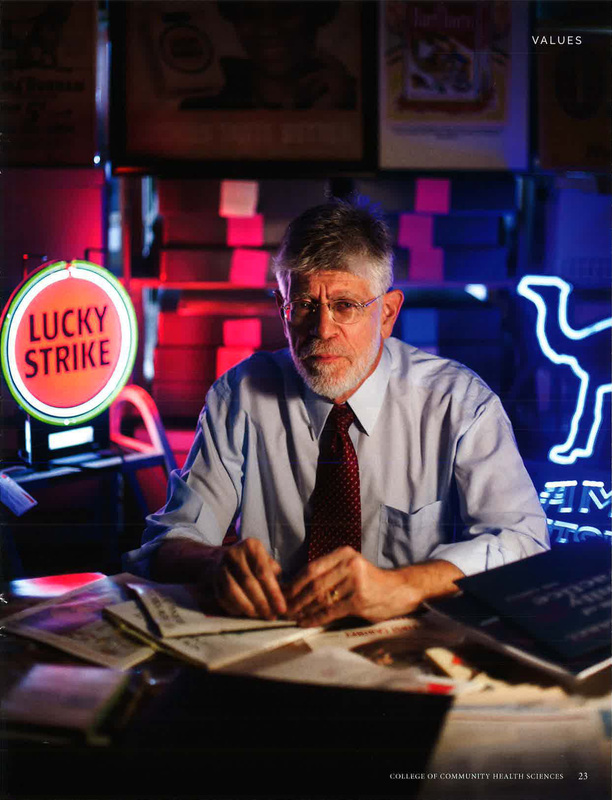 CSTS is an outgrowth of the archive that Dr. Blum started in the 1970s to preserve materials on the tobacco industry, cigarette advertising, and anti-smoking activism of the past century. The primary purpose of CSTS is to serve as a historical information resource. Through original museum exhibitions, journal articles, documentary films, symposia, and presentations in all 50 states, CSTS explores, investigates, compares, and contrasts the historical and contemporary aspects of the tobacco issue and the role and influence of tobacco industry and its allies. CSTS draws from distinguished advisers from the fields of history, law, anthropology, museum studies, publishing, library and information sciences, public health, and medicine. CSTS is unique because it is the only socio-cultural resource which documents the tobacco issue from all vantage points, from public health and anti-smoking strategies to social, agricultural, economic, and marketing aspects. Its collections include original newspapers, magazines, business trade journals, annual reports, advertisements, point-of-sale displays, posters, signs, toys, videotapes, audio tapes, and more than 25,000 photographs and slides.